Social Business in Europe, not what you might think. Or maybe it’s exactly what you think. The problem of having the same name for two quite different definitions can be confusing. Doing a search of “Social Business in Europe” shows you exactly what I mean. You can’t see the forest through the trees. As a tried and true metaphor, it explains my point exactly. In an earlier post I described both versions, and the relation between the two, and you’ll see one variation gets completely overgrown by the other. When you search, and look around on the web, Social Business in Europe is predominantly about the Prof. Yunus definition of Social Business. For me, as a Social Business professional this is a bit disconcerting. Because I follow Peter Kim’s definition of the term. I focus on the goings on within a company, how they communicate, how they share knowledge and engage with their employees, partners and customers. In essence, I don’t care how they make a profit. Well, image some executive hears about Social Business in Europe. Some partner or even a competitor is very happy with their Social Business implementation. Having nice results because of it. Getting their Social Media under control, having proper on-line conversations and happy employees. All smiles, all around (it can happen). Now this executive does the Google thing and is hard pressed to find anything related to what he heard during lunch. What he does find is a lot of information on Social Business as depicted by Prof. Yunus. OK, so why is that a problem? Because this executive is going to abandon his search really quick when he finds out that according to Yunus’ definition of Social Business, his company needs to change the way it does business and needs to become socially responsible in a way that requires him to uproot his entire business process. Or at least part of it. He’s not going to do that. And chances are, he won’t pursue the idea for some time. Missing out on the great benefits of having a Social Business according to Kim’s definition. Now, I love the idea of Yunus’ Social Business, the concept is tantalising and the fact that the EU is picking this up is very promising. I do believe it’s a very important part of building a sustainable society. However, not every company is ready for this, far from it, hardly any company is ready for this. A Google search on “Social Business in Europe” might lead you to believe we don’t practice Kim’s version of Social Business. The opposite is quite true. Rawn Shah did a write up following the Enterprise 2.0 Summit in Paris, earlier this year. Enterprise 2.0 and Social Business are reaching a stage of maturity in Europe with detailed cases from mid and large-sized organizations from a wide range of industries, headquartered in various European countries. Even Microsoft Netherlands is doing a great job moving into the Social Business sphere. 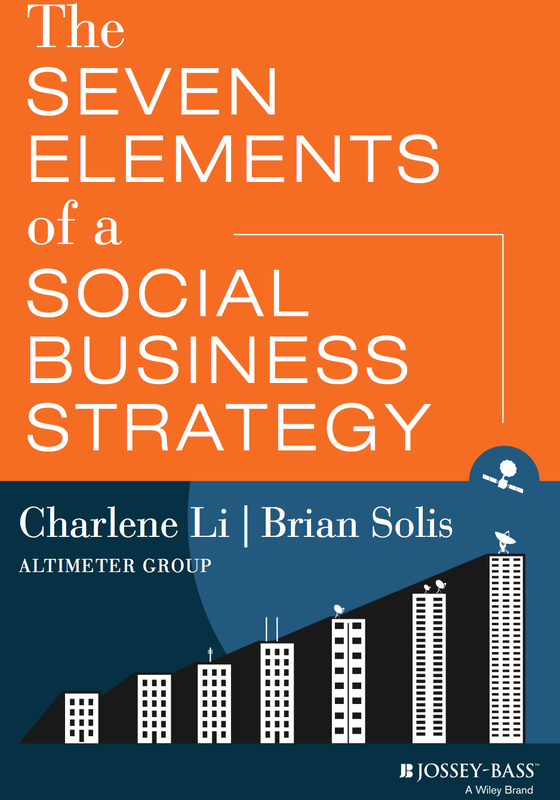 The difficulty lies in the different definitions of Social Business. Although both firmly rooted in “Social”, both have a very different impact on business. So much so, that a clear distinction has to be made when looking for a certain solution. And let’s face it, most established companies will be looking for the Enterprise 2.0 version of Social Business. I know the two definitions are sticking. One comes from the US and is generating considerable traction. Books are written and businesses are build around the term. The other comes from Bangladesh and, apparently, is getting momentum too, only on a different continent. One is rooted in business and aims to create a more inspiring working environment leading to more streamlined and resilient company. The other a business which aims to create “new kind of capitalism that serves humanity’s most pressing needs”. Quite a difference. Heck, Wikipedia doesn’t even recognize the first, they refer to Social Media. Bottom line (literally), when you’re searching for a Social Business solution, make sure you get the right answers. Author Rogier NoortPosted on 130902 151213 Categories Social BusinessTags business, Definition, Enterprise 2.0, EU, Muhammad Yunus, Peter Kim, Prof. Yunus, Rawn Shah, social, social business, social mediaLeave a comment on Social Business in Europe, not what you might think. Do your business goals and social goals align? We know by know Social Media/Business is something you can’t “just do”. Or, you can, but that’s missing the point and wasting time, effort and money. 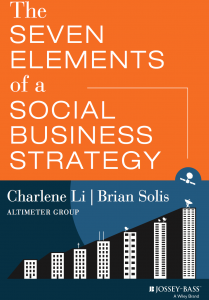 In “The Seven Success Factors of Social Business Strategy“, the latest publication from the Altimeter Group, written by Charlene Li and Brian Solis, the alignment between business objectives and social strategy is put front and centre. Now we can say, with authority, that Social has come of age. That we no longer can treat it as something we “just have to do”. Time to grow up. It makes sense when you think about it. Anything a company does, any effort it makes should align with the company’s goals. Even charity or pro-bono work should, in one form or another, fit into “the greater plan”. It’s the only way to make sure that everything you do, as a business, is worth the effort. Coca-Cola has created a strategy to rival most out there. Basically it states that any expression should fit into the overall story being told by the company. Creating a fluidity where anybody can add or use content, as long as it abides to a few rules. And the overall story is aligned with the company’s goals. Coca-Cola is one of the most recognized brands in the world and a huge enterprise. Their resources seem infinite and implementing a plan like this seems easy enough. But, Coke is a world-wide brand with almost 150 thousand employees, and despite its resources, aligning anything is not an easy task.., at all. The message is; If Coke can do it on such a huge scale.., surely we can do this in a smaller (and more controllable) environment. This list is simply fantastic. It’s one of those pieces of information that makes you go.., hmmmmm…. Silly really, because each point on that list is common sense for most major projects and changes. Yet, with social media we tend to ignore proper business altogether. You need to read the book for all the details of course, but coming from Altimeter you can rely on a proper foundation of the information. As said, it makes sense. For instance, executive support (3) is paramount to success. Especially if you want to secure staff and resources (6). To invest in technology (7) you need funding (6). And in order to define the roadmap (4) you need to know the goals (1) and you have to establish the long-term vision (2). The point of matter is that when (not if) you decide to start the social business journey you (really) should make the effort to do it right. I know, this is easier said than done. The Why? is pretty clear by now, it’s the How? we get stuck on. The “The Seven Success Factors of Social Business Strategy” can help you create the vision you need to support the necessary passion. So, just do it, but do it right. There is enough information out there to support you, and more and more professionals to guide you. No more excuses. Do you have a Social Business Strategy? Author Rogier NoortPosted on 130722 151213 Categories Social BusinessTags Align, Altimeter, Altimeter Group, brian solis, business, Charlene Li, Coca-Cola, Coke, executive, Management, Plan, social, social media, Strategic management, Strategy2 Comments on Do your business goals and social goals align?